Reputation ranked first in e-business. A product is good, the most intuitive way is to read reviews. 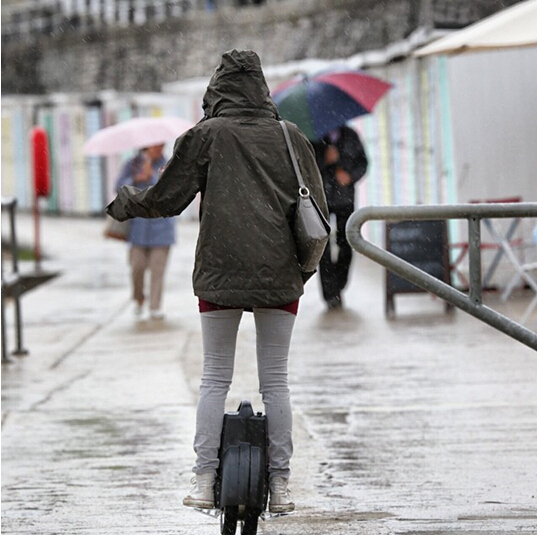 Airwheel Q3 electric unicycle has entered the market for some time, its performance in quality, performance, appearance and service in all aspects in the end how, as a look at TAOBAO.COM buyers’ evaluate it. This is a Taiwanese buyer evaluation of Airwheel Q3, mainly praise Airwheel packaging effort:! "Product packaging quality is really good enough to go through the mainland's three transportation to Guangzhou, Zhongshan later transported to Taiwan, then my hands, built a little loose items are not, packaging materials enough really, great addition, store service Hey if I use a word to describe that: intimate. Place reasonable protection thoughtful packaging, has been Airwheel standards. Another look at the buyer's purchase experience "SF land logistics quickly. Saturday delivery, Zhou received the Jiangsu to Fujian, very quickly and very powerful. Airwheel rover packaging protection is very tight, so the spot open tank inspection, unscathed, very satisfied. Honestly, rover or some heavy weight, but horsepower is enough, life is good. Take back one hour to learn to ride a decisive slipped to campus! Laps, school girl who keep returning lever chanting to! After seniors seeking belt line ha-ha riding two hours before a grid electricity consumption climbing ability is very good, but it feels acceleration, quickly lose their balance probably not experienced it. For Q3 very satisfied. I hope the next use of fun! " About Airwheel electric scooter Q3 rover is not good riding problem diamond buyers commented: "Received rovers have one week, this time busy, so late review this rover product quality is very good. Of course there is a certain weight wheel. In addition, the flagship store customer service attitude is very good, if you can send more gifts for the better. Two days ago in the evening and my wife went to trial, and less than 10 minutes on the basic Society, less than an hour will be able to practice their own ride, but cornering and automatic control to stop or control was not very good, I want more practice times will be skilled. " In all evaluation, was the most frequently mentioned is good to use and easy to learn, almost all buyers are right yes Airwheel Q3 rover expressed support ease of riding, it seems first exclusive wheel hub design practical, very high. In addition, the quality of Airwheel Q3 also praise the majority of buyers. Apply the old adage, "the masses have sharp eyes." And so on, Taobao.com buyers thumbs up Airwheel Q3 rover, is absolutely reliable product!